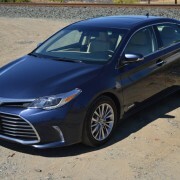 If you’re interested in saving 10 percent off the top, consider a Toyota Avalon instead of a Lexus ES300. 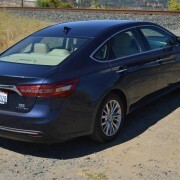 Both four door luxury sedans derive from the same platform. 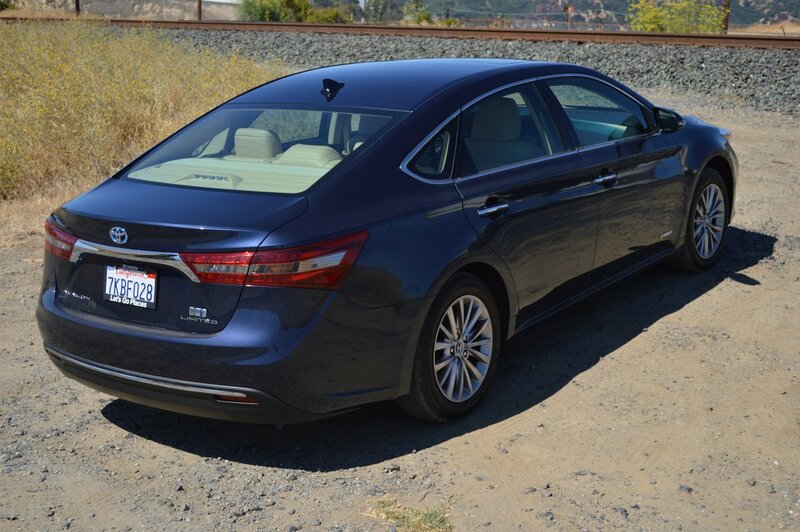 Select the Hybrid model Avalon, and you’ll pay a base price of $41,950. 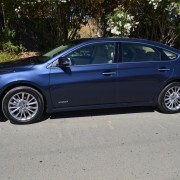 The same Hybrid in the Lexus line will set you back an extra $4,000. Aside from name plate differentiation, the 2 sedans are virtually identical. 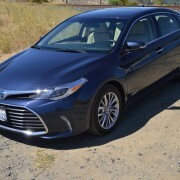 Our test Avalon, with $500 extra for a “Safety Sense Package” (Pre-Collision Warning, Pedestrian Detection, Lane Departure Alert with Steering Assist, and Dynamic Radar Cruise Control) still posted a bottom line of just $43,285 (including $835 for Delivery). 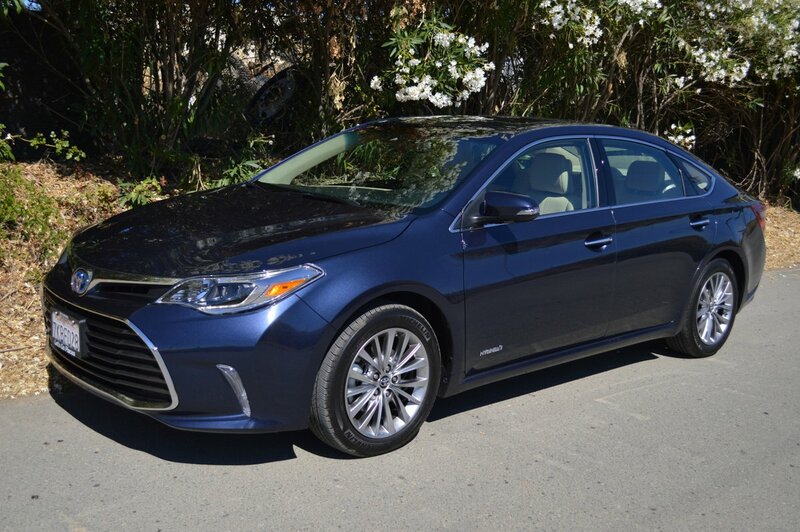 According to the EPA, the Hybrid Avalon will save you $3,500 in fuel costs over 5 years compared to the average new vehicle. This savings accrues from the Hybrid’s exceptional fuel consumption, which posts a combined driving mileage figure of 40 MPG. That is quite an accomplishment for a sedan weighing 3,555 pounds and capable of transporting four adults in well-furnished luxury. 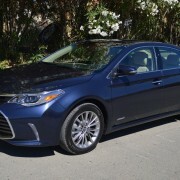 However, if I were about to purchase an Avalon, I would not opt for the Hybrid, but rather select the available 3.5 liter V6, which makes 268hp compared to the Hybrid’s 200hp. 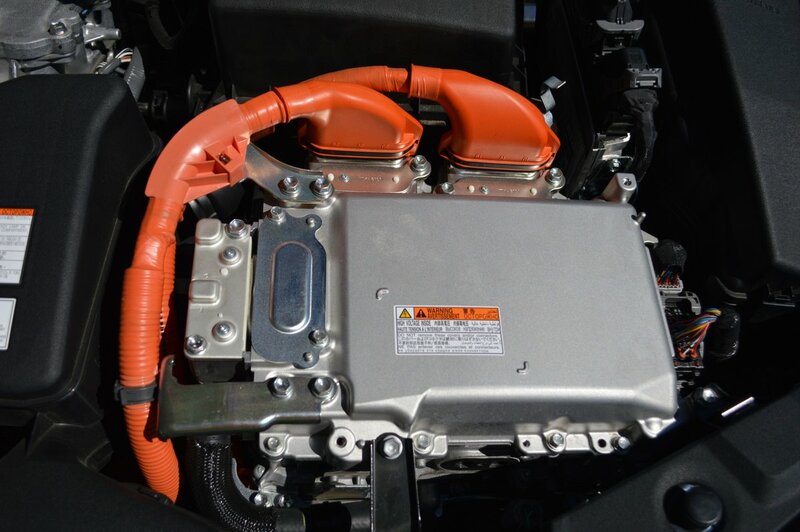 Even though the electric motor of the Hybrid contributes a side order of torque, the 200hp inline four-cylinder gas engine feels anemic when you crush the throttle. Eventually, the electric boost kicks in, but even so the added thrust is late to the game and never all that strong. The Hybrid requires careful planning for passing maneuvers. 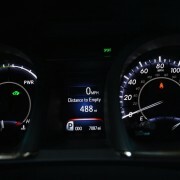 To its credit, though, our test Avalon still showed a Range to Empty of 340 miles after a complete week of road testing. 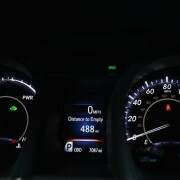 With a full 17-gallon fuel tank, you can expect a cruising range close to 680 miles if you run right into the reserve. 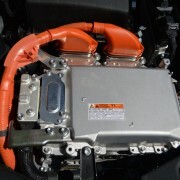 When we first climbed aboard the Hybrid, the Range to Empty prediction showed 580 miles. 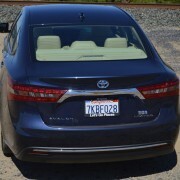 Either way, this Avalon will cover a lot of road without much gas. There’s little to carp about concerning the cockpit amenities of the Avalon. 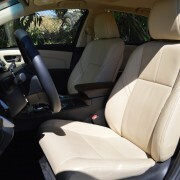 Both front and rear seats are fitted with perforated leather which breathes well and looks great. 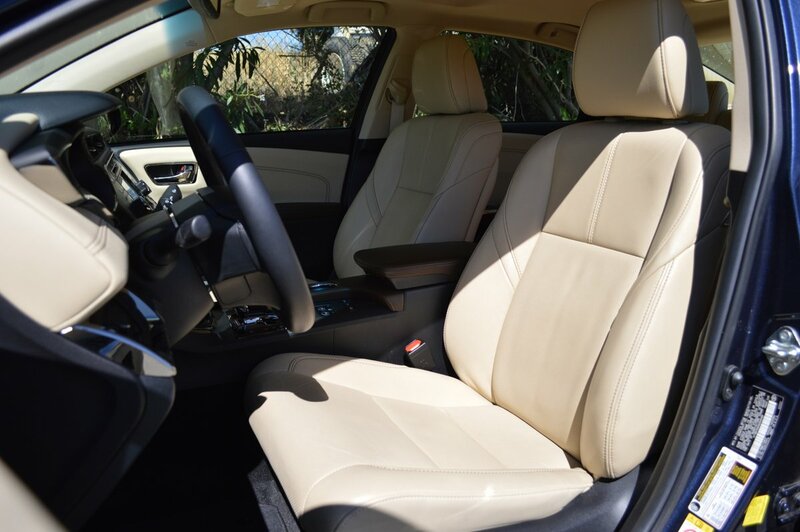 The front seats feature heat and ventilation devices, while the rears offer heat only. There’s a nice console for rear seat occupants that contains heating and AC controls, plus a utility socket for plugging in portable devices. There’s even a retractable rear window sun screen that confers instant dignitary status on rear seat occupants when erect. Up front, vision is excellent in all directions thanks to tall side windows. 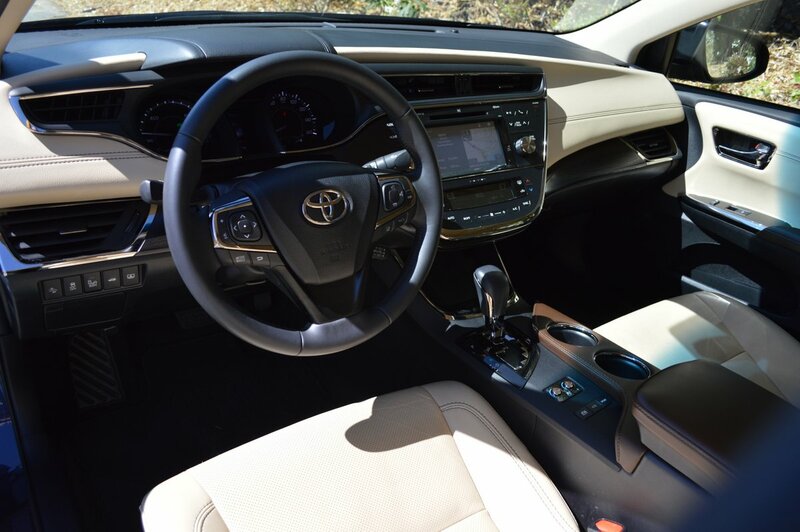 A small sunroof is standard fitment, and thankfully, Toyota has provided large, easily grasped knobs for radio volume and station choice. 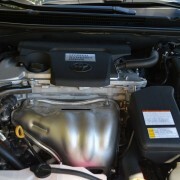 The included 11 speaker JBL system provides Toyota’s “Entune” app suite as well as a navigation program. There are plenty of oddment storage compartments, which help keep the cockpit neat. At the front end of the center console lies a stealthy looking retractable door covering a “utility box” containing an SD card slot, another plug in receptacle, and a wireless charging pad for your phone. The pad is monitored by green and amber lights which keep you informed of usability status. The dash above this utility box contains a smallish 7-inch touch screen which proved difficult to read when flooded with daylight. The finger touch slide for the fan is easy to use, but like the digital right and left controls for temperature, each change of position generates an irritating beep of confirmation. 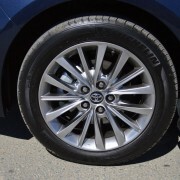 Over the years, Toyota has run the gamut on the suspension calibration of the Avalon. The original sedan handled like a tuna boat in heavy seas. When they reissued the model as a pukka sporting sedan last year, the general consensus was that the platform was too stiff and unyielding. 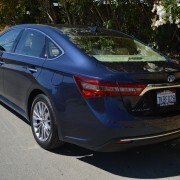 The 2016 version covers all the handling and performance bases, with 3 settings available from buttons on the center console reading “EV Mode, Eco Mode and Sport.” According to the Owner’s Manual, the Sport setting “assists acceleration response” and is to be used “when precise handling is desirable.” We left the setting in Sport for our week with the Avalon, although we never felt particularly sporty driving this large sedan. That’s partially attributable to the meager grip afforded by the undersized (215/55R17) Michelin MXV4 Primacy tires. 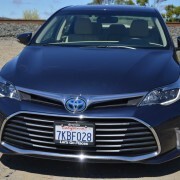 But if you’re in the market for a Hybrid Avalon, you’re probably not comparing it to a BMW. Rather you’re looking for an economic and comfortable family car. 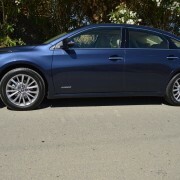 This one gives you the attributes of a Lexus at the price of a Toyota.